The oversized golden envelopes have been ordered, the nominees alerted, the dresses and suits fitted, the red carpet…hoovered? It’s almost that time of year again when the glitterati of Hollywood come together in the annual circus that is the Oscars. This year the awards are on February 22nd and flying the flag for the Irish contingent is the wonderful feature length animated movie, ‘Song of the Sea’. With a rating of 96% on Rotten Tomatoes, that’s a certified fresh gem from the geniuses of Cartoon Saloon in Kilkenny. With so many new Oscar categories appearing over the years, we’re wondering just how long it will take for a sub class of Rom-Coms to appear in the form of the Matchmaking Genre. 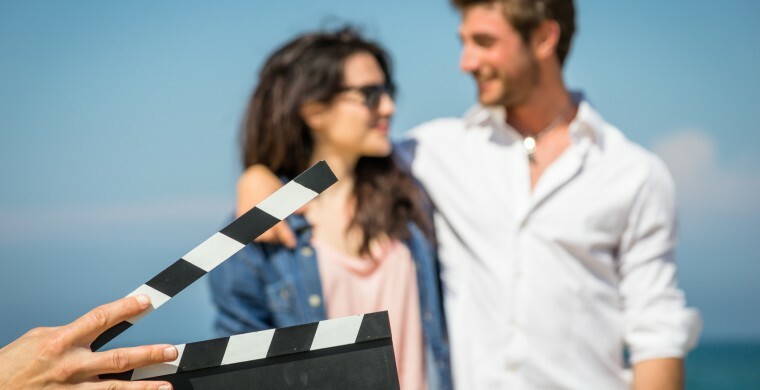 We’ve already got a few ideas about who the nominees would be, so snap that clapboard for a one take run through of some of the most hilarious – if not always critically acclaimed – Matchmaking movies we’ve seen. In the 2008 film adaptation of the hugely successful play, Amanda Seyfried plays Sophie, a young girl about to wed. However, she finds out from her mother’s journal that she could have a few possible fathers, which derails the whole process. In trying to get to know the men, a few overdue reunions ensue with various consequences. Amanda Seyfried takes the role of Matchmaker in this one. While the movie might be on many people’s top list, Best Matchmaker, Amanda is certainly not! Ok, the matchmaking here is a little tenuous, since Bridget spends much of her time trying to match-make herself while simultaneously sabotaging pretty much any chance she has at making a fist of it. However in the 2001 classic, Renee Zellweger, playing the eponymous character, encounters Mark Darcy, played by Colin Firth. Mark’s mother has tried to set him up with Bridget before, but to no avail. Bridget later goes after her boss, but it does not work out, and she discovers that Mark is her perfect match after all. We have to award Bridget’s mother some matchmaking points for planting the seed, but certainly not a Best Matchmaker award! In this 1969 classic based on the musical, Barbra Streisand stars as Dolly Levi. Dolly acts as a matchmaker who ventures to New York in order to find the ideal woman for a tough millionaire client. Of course, she also finds love for herself over the course of the movie. Ok, definitely no Best Matchmaker award here. Emma, despite her efforts to match-make her new friend, Harriet Smith, with Mr. Elton, the local vicar, ends up with poor Mr. Elton falling for Emma instead. Oh dear! We’ve gone with the 1996 Gwyneth Paltrow version for our image here, but Romola Garai’s 2009 Emma is an extremely popular choice. For a modern interpretation, Alicia Silverstone in ‘Clueless’ is a fun version. In this 2005 film, Will Smith stars as the title character, Alex “Hitch” Hitchens (as in ‘getting hitched’, anyone?). He works as a dating coach, instructing men on the proper way to ‘land’ women. While setting up two of his clients, he falls for a woman named Sara Melas, played by Eva Mendes. However, what Hitch doesn’t know is Melas works as a journalist, determined to show the fraud behind matchmaking services. Who’s your Favourite On Screen Matchmaker? So who would get your Oscar for Best Matchmaker on TV or in Cinema? We’ve thrown five names into the ring, but we could just as easily have named many more. And yet, we’re still undecided. Tell us your favourites over on our Facebook Page and see who comes away with the little golden statute and the coveted title!